"This one is one of my favorites, so easy and delicious. You can use La lechera® dulce de leche condensed milk instead of the original condensed milk." 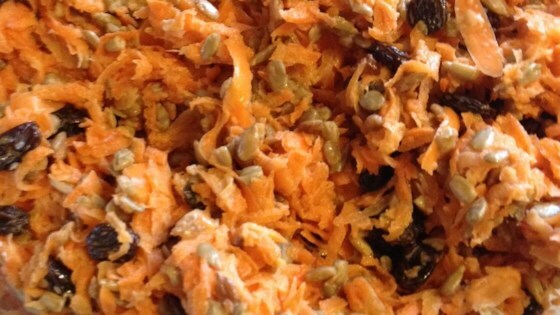 Combine carrots, coconut, walnuts, raisins, and sweetened condensed milk in a salad bowl. Refrigerate until chilled, about 1 hour; serve cold. Everybody loves a post-holiday turkey sandwich! Very good and will definitely make again, but I will add more of the condensed milk. It was just too dry for my family using the original version. Love this recipe in the summer! I replace sweetened condensed milk with Thai Full Coconut Milk… Delicious!